We love this film already. We have been blessed with more footage of Ryan Reynolds as Pikachu in the upcoming film Pokemon: Detective Pikachu. Reynolds plays the titular character in the upcoming live-action spinoff, and he isn’t afraid to be sassy. A new TV ad for the film premiered during the NFC Championship game. 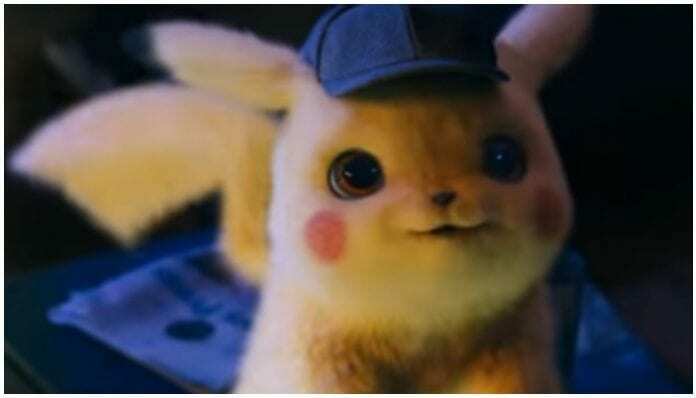 Fans got a better sense of Pikachu’s character and it just makes us love him more. In addition to Reynolds, Suki Waterhouse, Rita Ora, Bill Nighy and Justice Smith will also appear in the film. Smith had a packed year after his lead role in Jurassic World: Fallen Kingdom. In this film, Smith plays protagonist Tim Goodman. According to The Hollywood Reporter, the story is set into motion when Goodman’s father is kidnapped, forcing him to team up with Detective Pikachu to find him. To make matters more chaotic, Goodman is the only human who can understand Pikachu talk. Goosebumps director Rob Letterman helmed the project, which began filming in London around mid-January of last year. Even though Reynolds voices the ever-so-lovable Pikachu, some fans thought it would be better if Danny DeVito got the job instead. Someone took the liberty of actually replacing Reynolds with DeVito in the trailer, and it’s totally hilarious. Pokemon: Detective Pikachu premieres in theaters May 10. Check out the first full trailer for the film below.